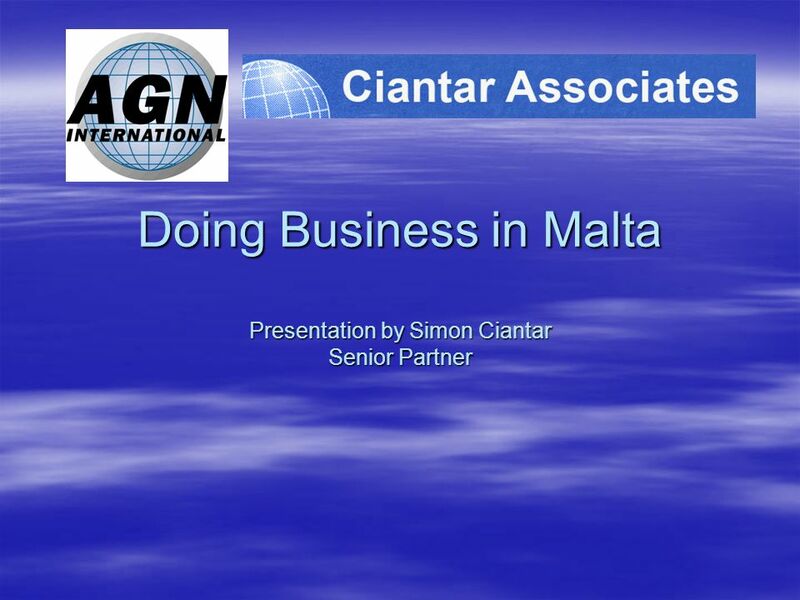 Doing Business in Malta Presentation by Simon Ciantar Senior Partner. 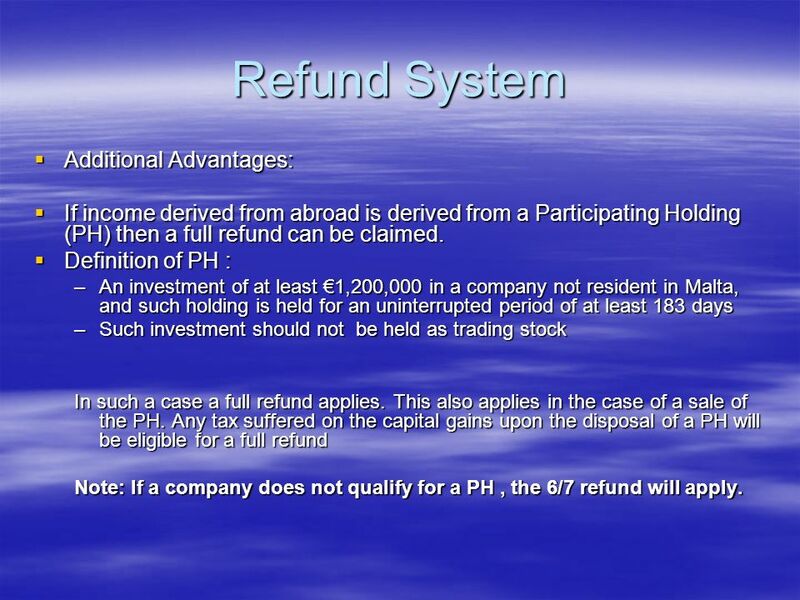 12 Refund System Additional Advantages: Additional Advantages: If income derived from abroad is derived from a Participating Holding (PH) then a full refund can be claimed. 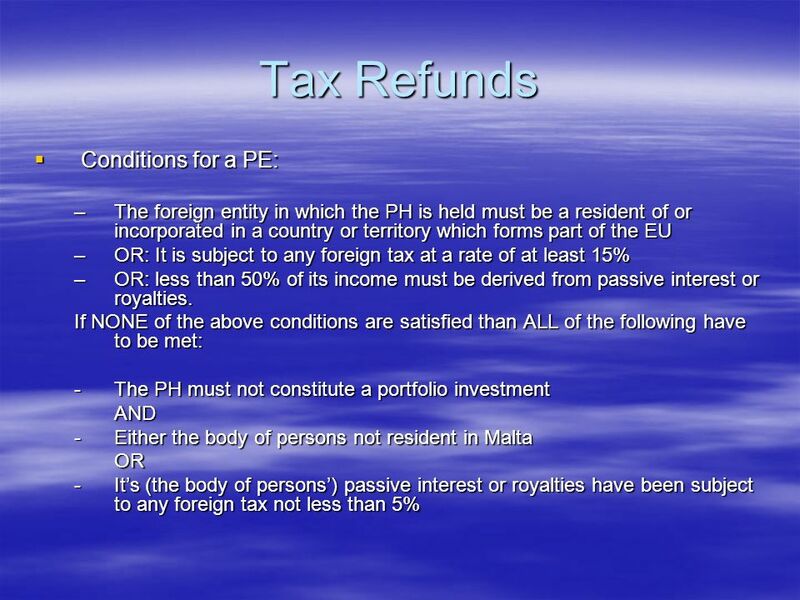 If income derived from abroad is derived from a Participating Holding (PH) then a full refund can be claimed. 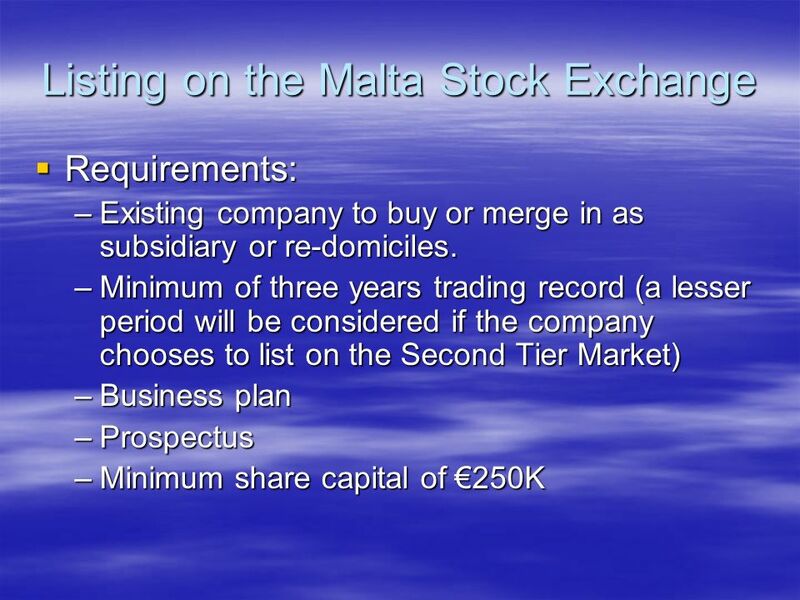 Definition of PH : Definition of PH : –An investment of at least 1,200,000 in a company not resident in Malta, and such holding is held for an uninterrupted period of at least 183 days –Such investment should not be held as trading stock In such a case a full refund applies. 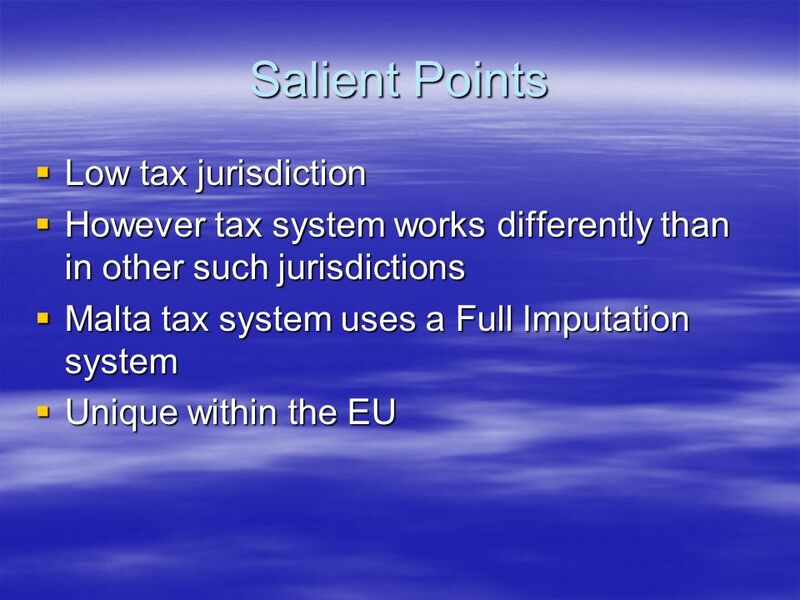 This also applies in the case of a sale of the PH. 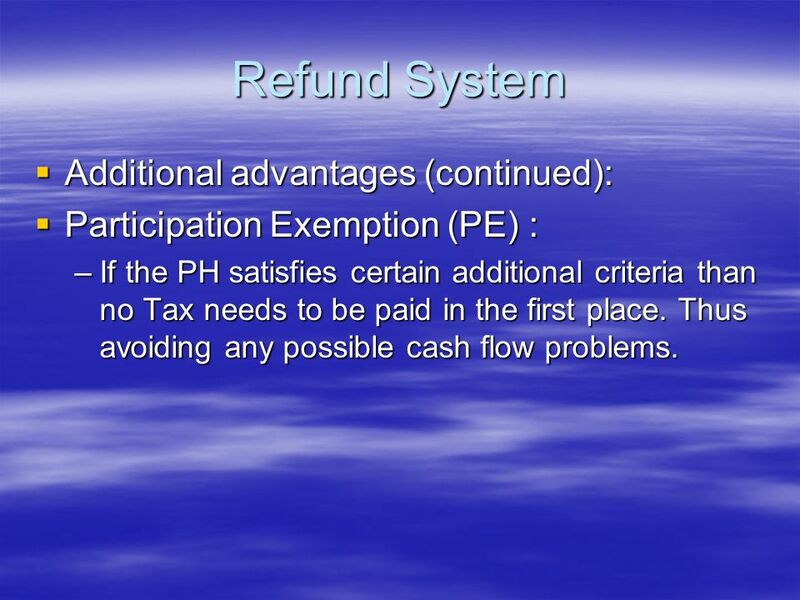 Any tax suffered on the capital gains upon the disposal of a PH will be eligible for a full refund Note: If a company does not qualify for a PH, the 6/7 refund will apply. 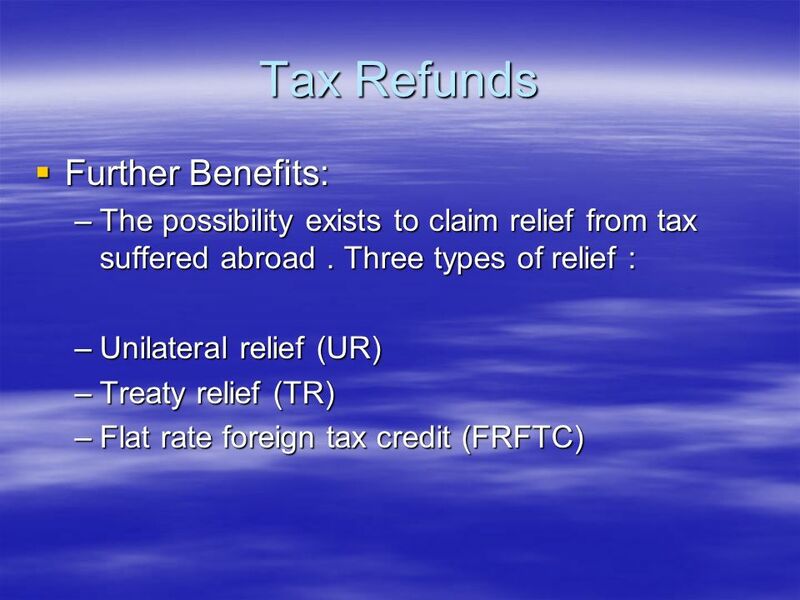 13 Refund System Additional advantages (continued): Additional advantages (continued): Participation Exemption (PE) : Participation Exemption (PE) : –If the PH satisfies certain additional criteria than no Tax needs to be paid in the first place. 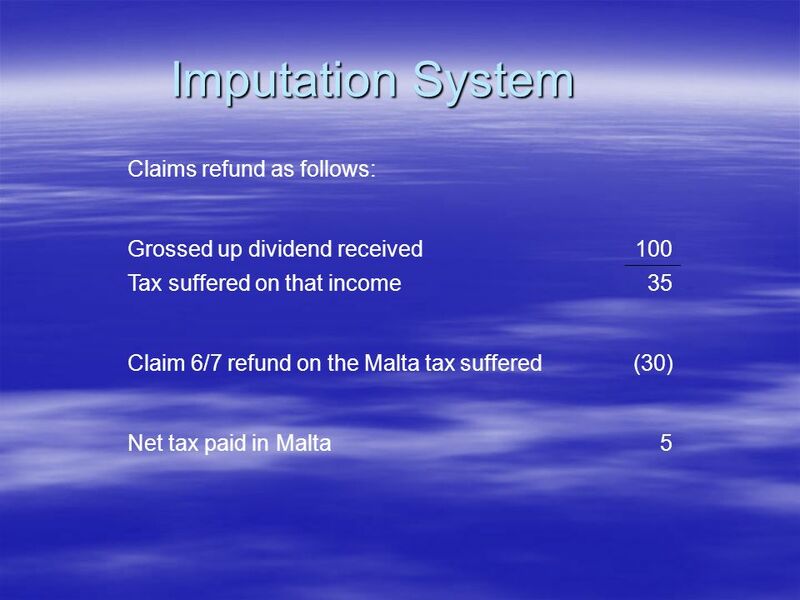 Thus avoiding any possible cash flow problems. 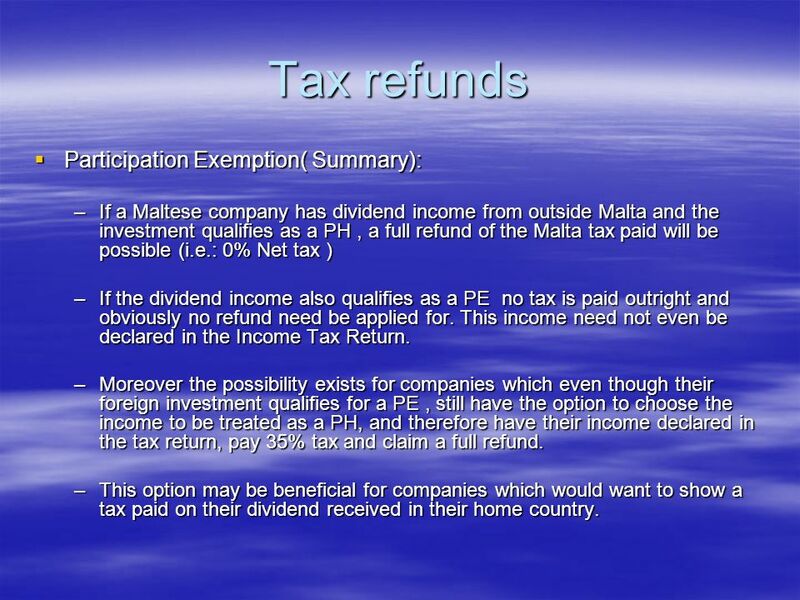 15 Tax refunds Participation Exemption( Summary): Participation Exemption( Summary): –If a Maltese company has dividend income from outside Malta and the investment qualifies as a PH, a full refund of the Malta tax paid will be possible (i.e. 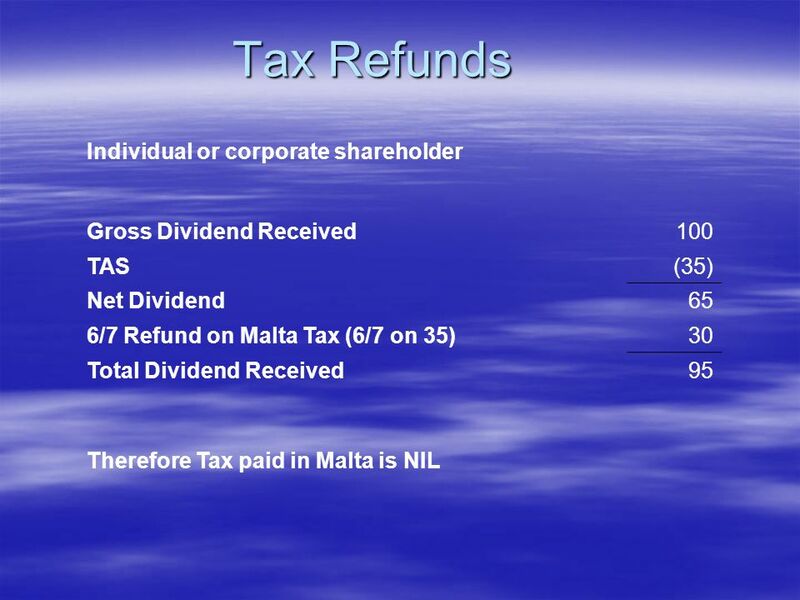 : 0% Net tax ) –If the dividend income also qualifies as a PE no tax is paid outright and obviously no refund need be applied for. 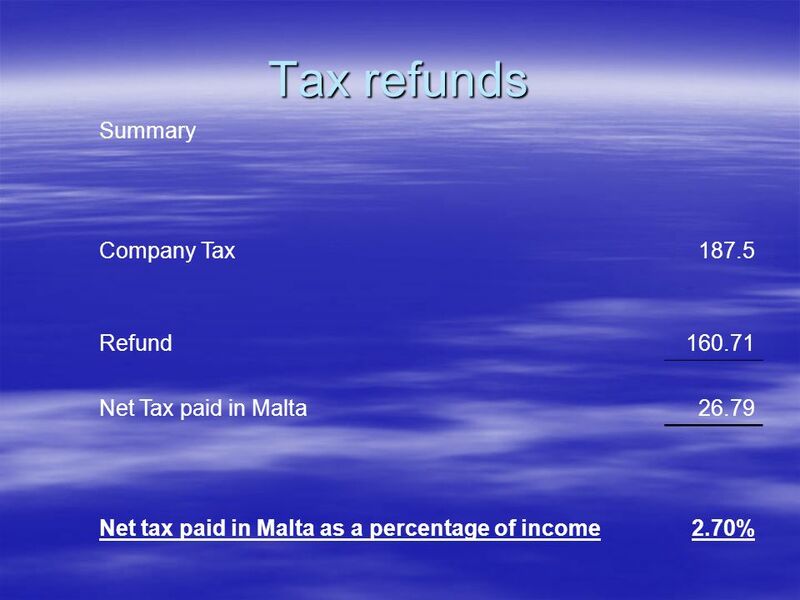 This income need not even be declared in the Income Tax Return. 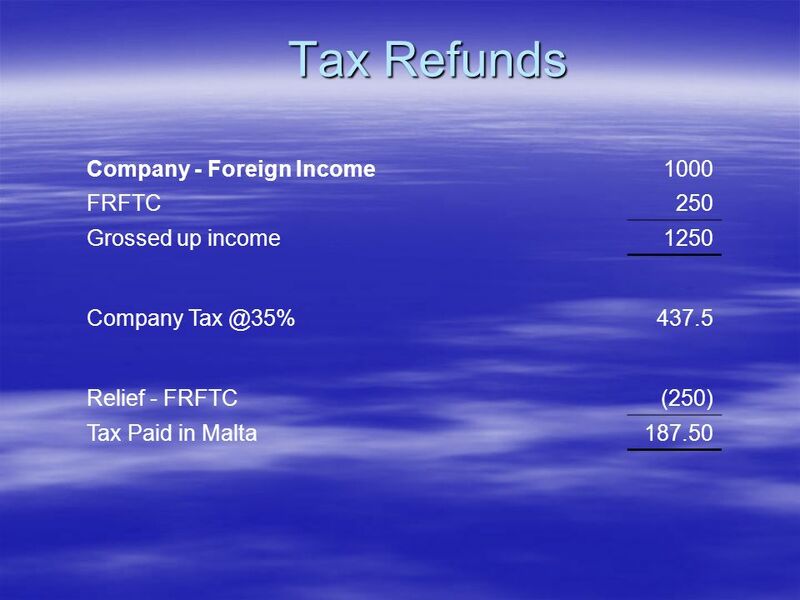 –Moreover the possibility exists for companies which even though their foreign investment qualifies for a PE, still have the option to choose the income to be treated as a PH, and therefore have their income declared in the tax return, pay 35% tax and claim a full refund. 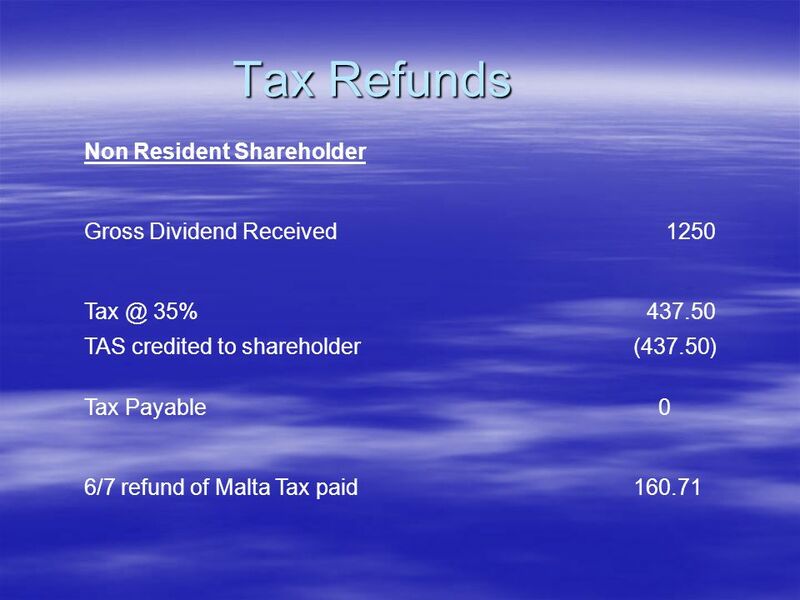 –This option may be beneficial for companies which would want to show a tax paid on their dividend received in their home country. 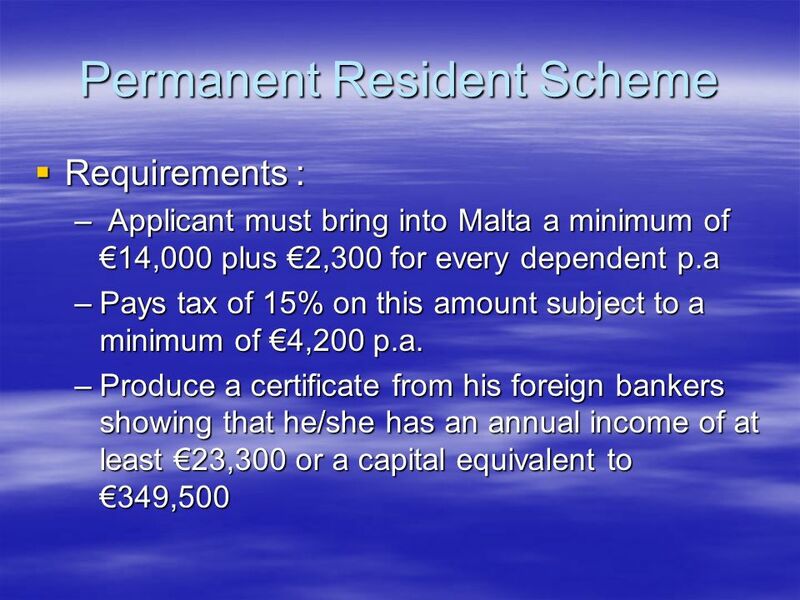 29 Permanent Resident Scheme This is a Government Scheme offering Maltese residency to Foreigners for tax reasons. 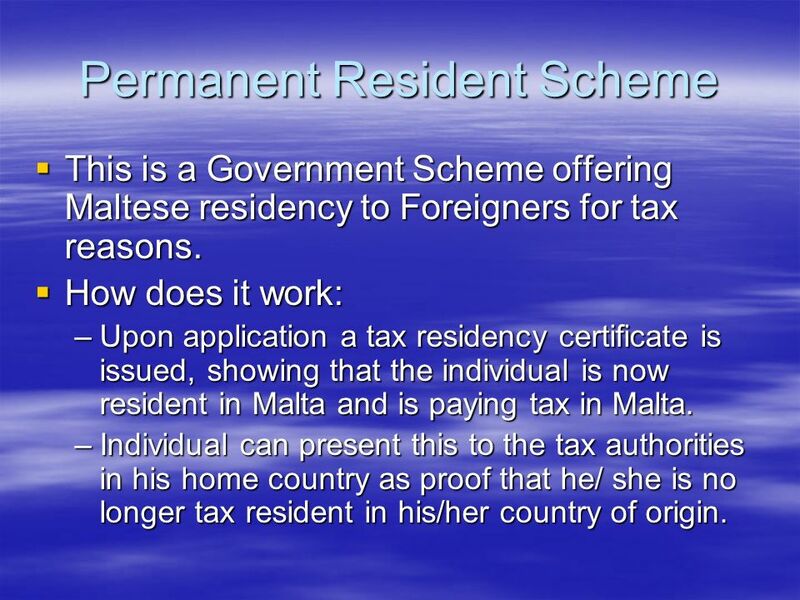 This is a Government Scheme offering Maltese residency to Foreigners for tax reasons. 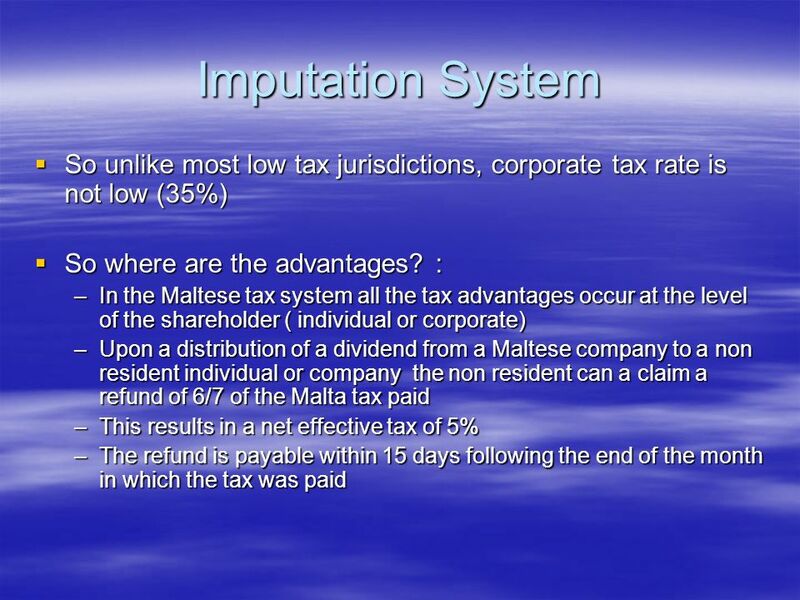 How does it work: How does it work: –Upon application a tax residency certificate is issued, showing that the individual is now resident in Malta and is paying tax in Malta. 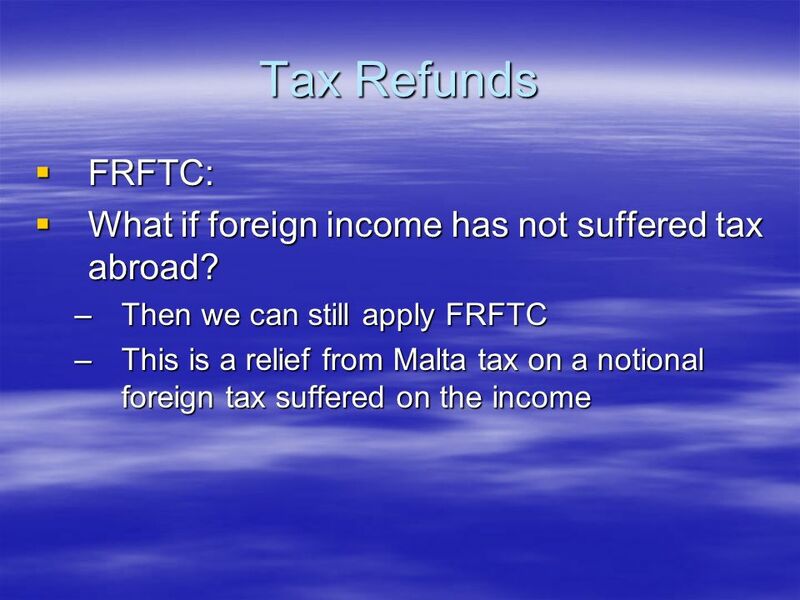 –Individual can present this to the tax authorities in his home country as proof that he/ she is no longer tax resident in his/her country of origin. 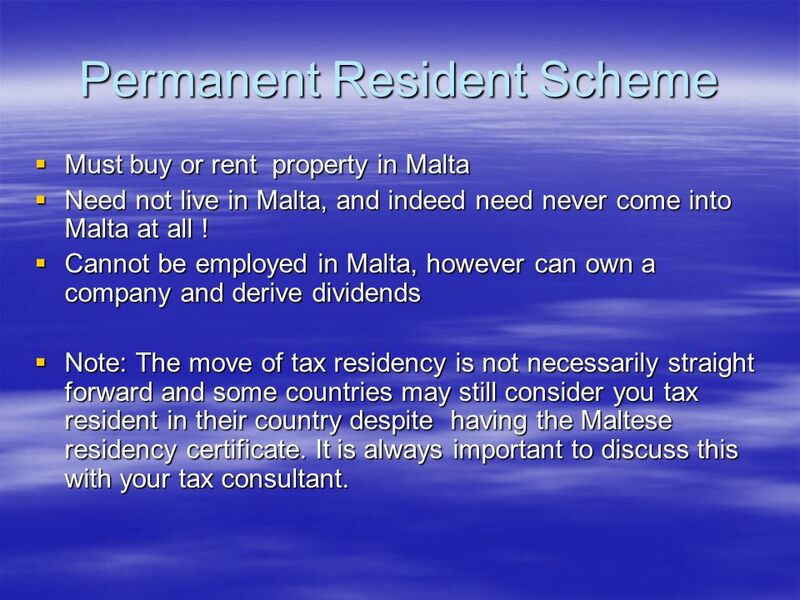 31 Permanent Resident Scheme Must buy or rent property in Malta Must buy or rent property in Malta Need not live in Malta, and indeed need never come into Malta at all ! 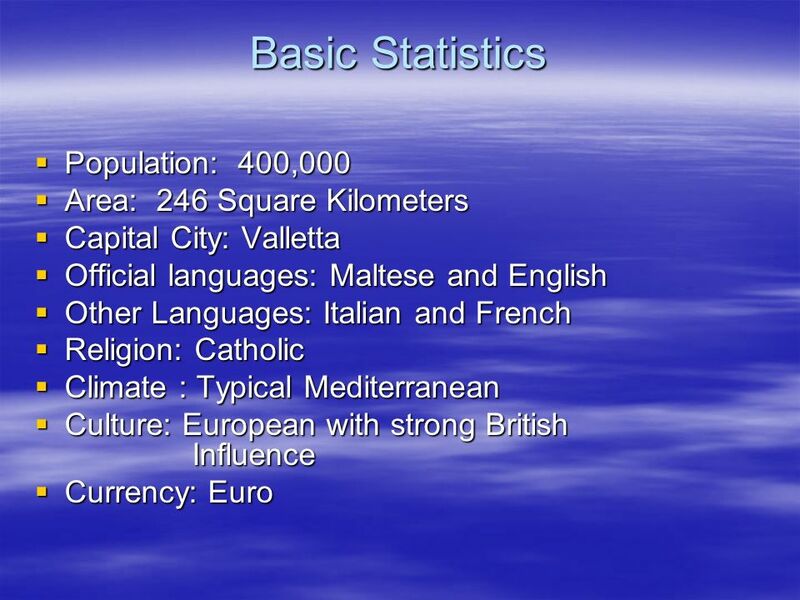 Need not live in Malta, and indeed need never come into Malta at all ! 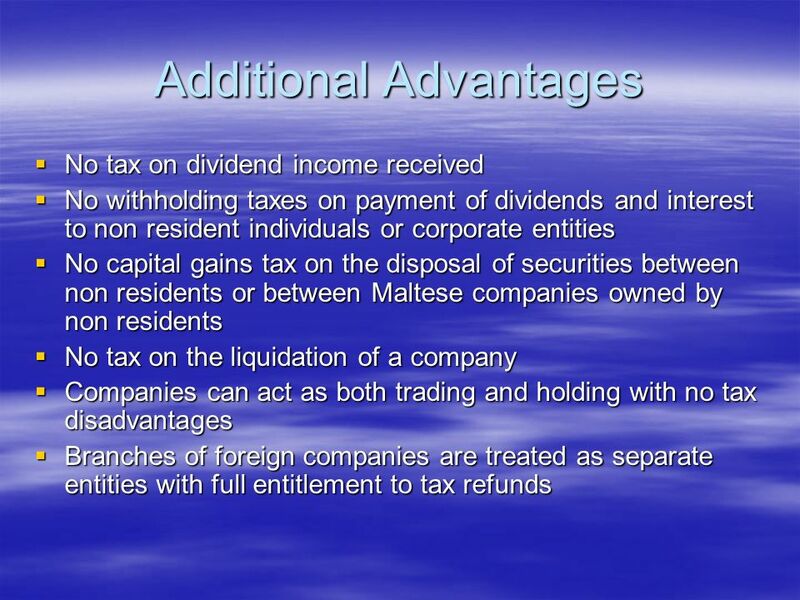 Cannot be employed in Malta, however can own a company and derive dividends Cannot be employed in Malta, however can own a company and derive dividends Note: The move of tax residency is not necessarily straight forward and some countries may still consider you tax resident in their country despite having the Maltese residency certificate. 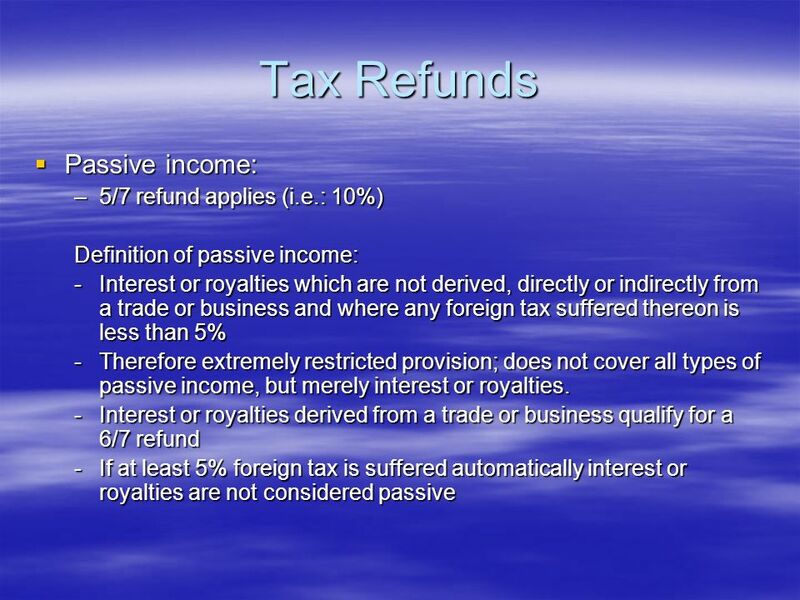 It is always important to discuss this with your tax consultant. 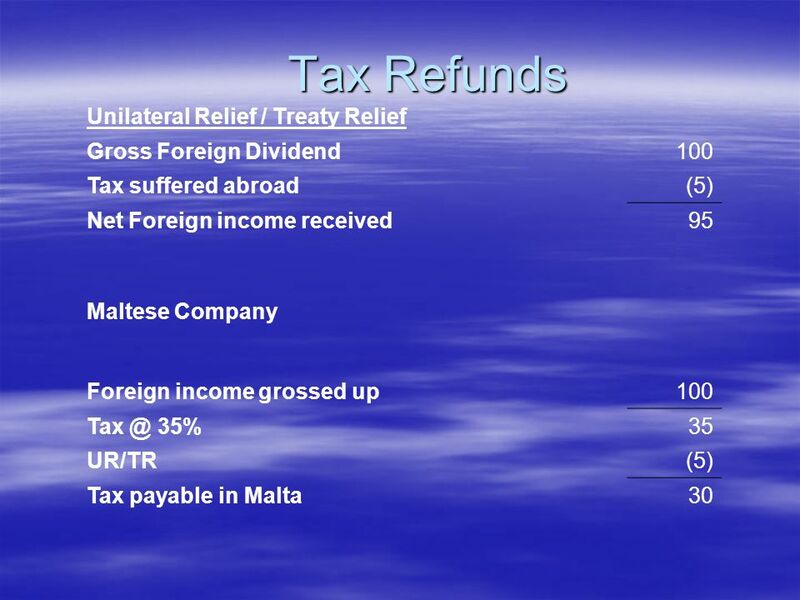 Note: The move of tax residency is not necessarily straight forward and some countries may still consider you tax resident in their country despite having the Maltese residency certificate. 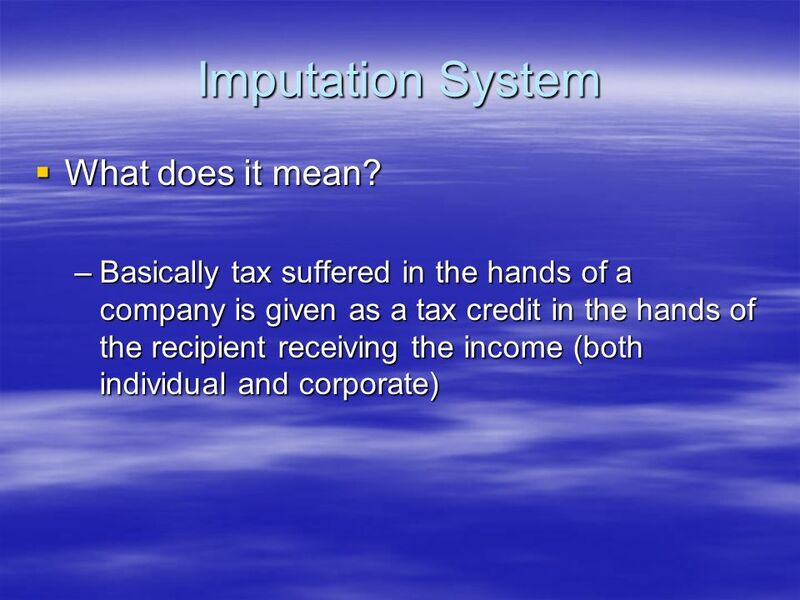 It is always important to discuss this with your tax consultant. 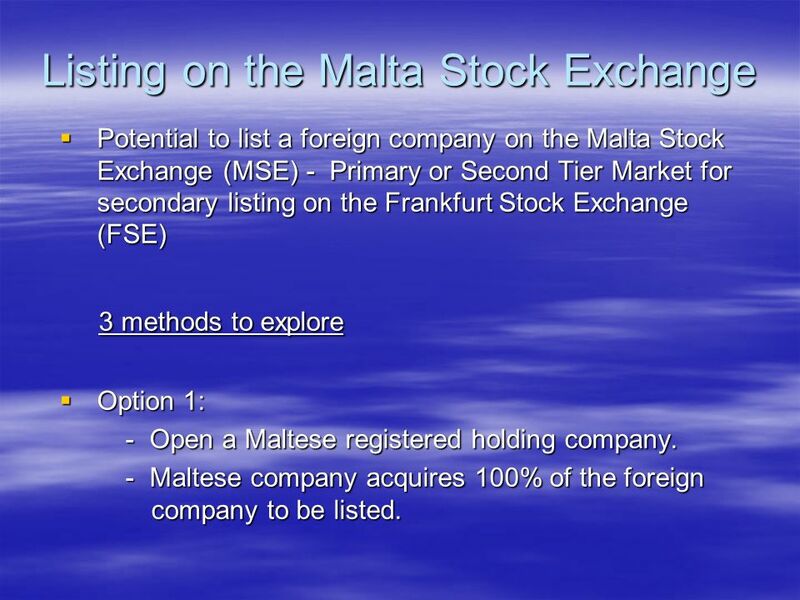 32 Listing on the Malta Stock Exchange Potential to list a foreign company on the Malta Stock Exchange (MSE) - Primary or Second Tier Market for secondary listing on the Frankfurt Stock Exchange (FSE) Potential to list a foreign company on the Malta Stock Exchange (MSE) - Primary or Second Tier Market for secondary listing on the Frankfurt Stock Exchange (FSE) 3 methods to explore 3 methods to explore Option 1: Option 1: - Open a Maltese registered holding company. 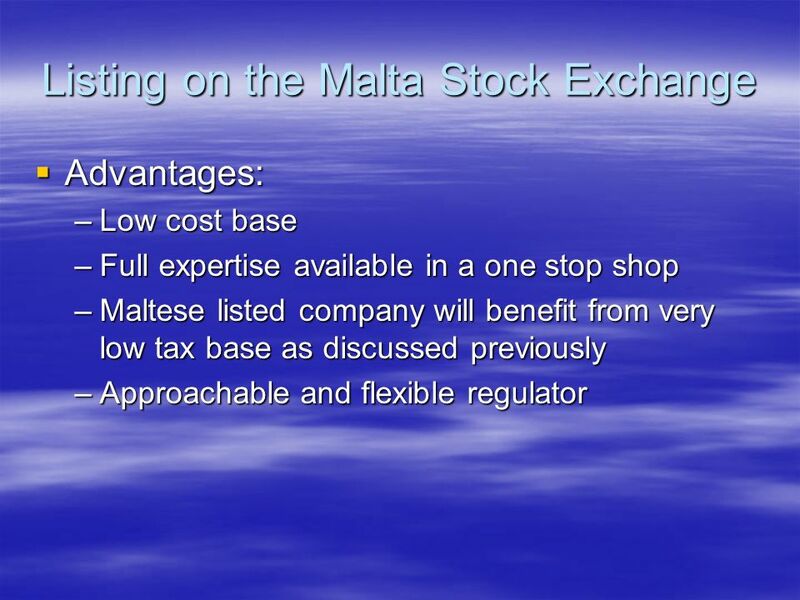 - Open a Maltese registered holding company. 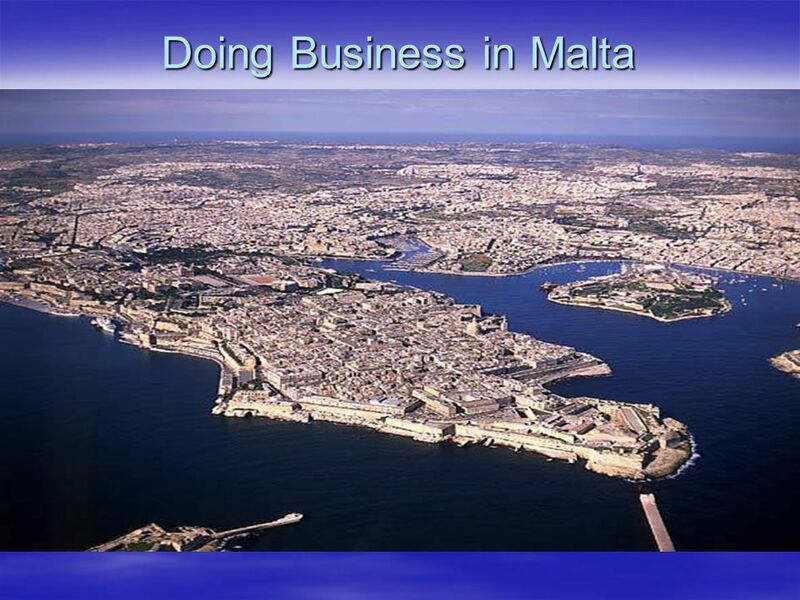 - Maltese company acquires 100% of the foreign company to be listed. 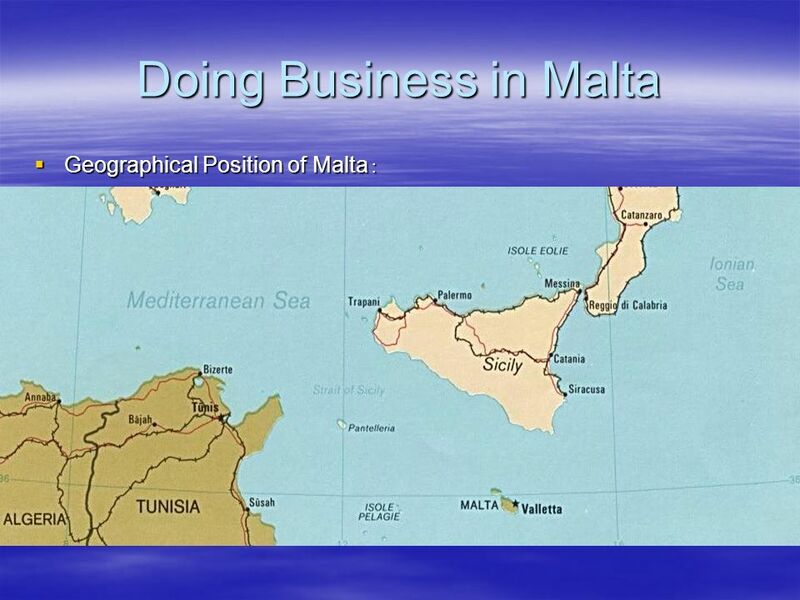 - Maltese company acquires 100% of the foreign company to be listed. 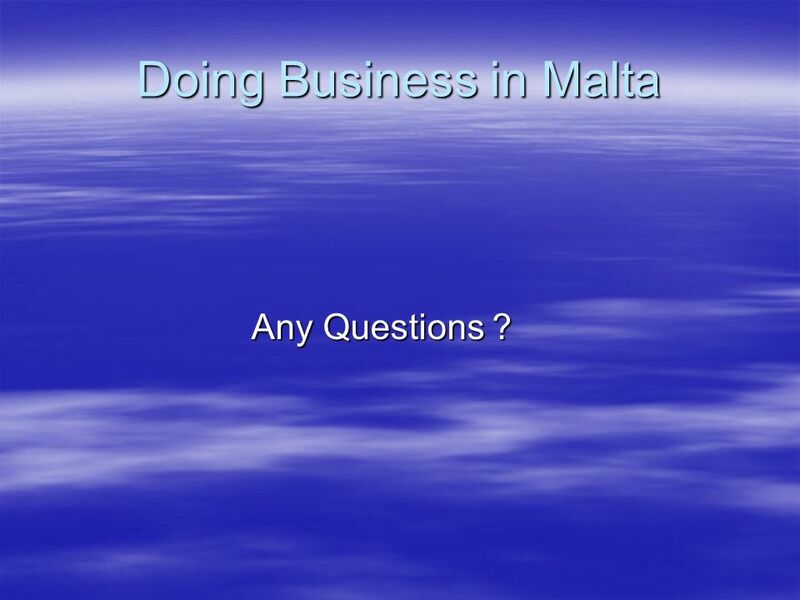 36 Doing Business in Malta Any Questions ? 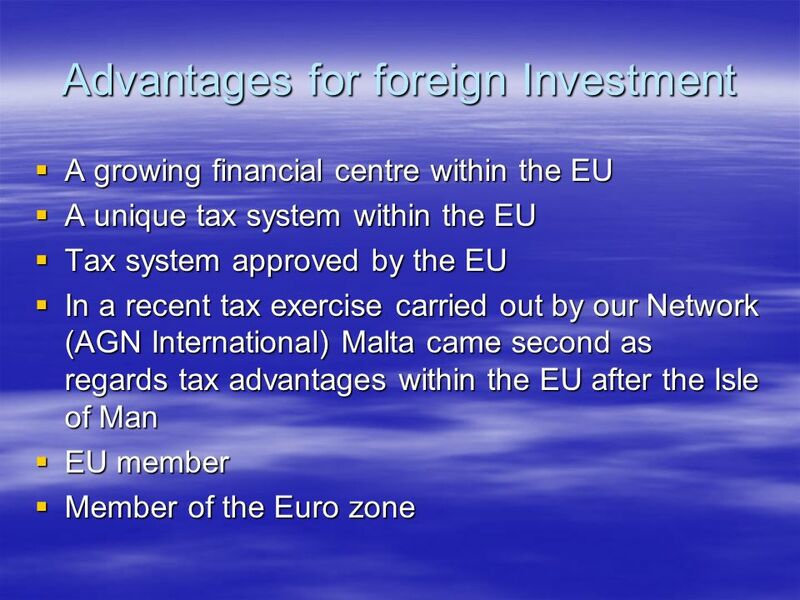 Any Questions ? 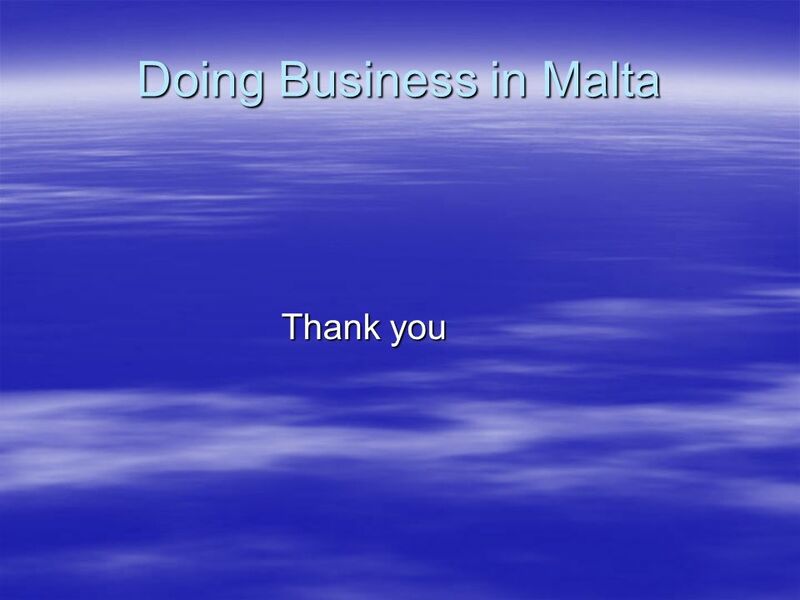 Download ppt "Doing Business in Malta Presentation by Simon Ciantar Senior Partner." 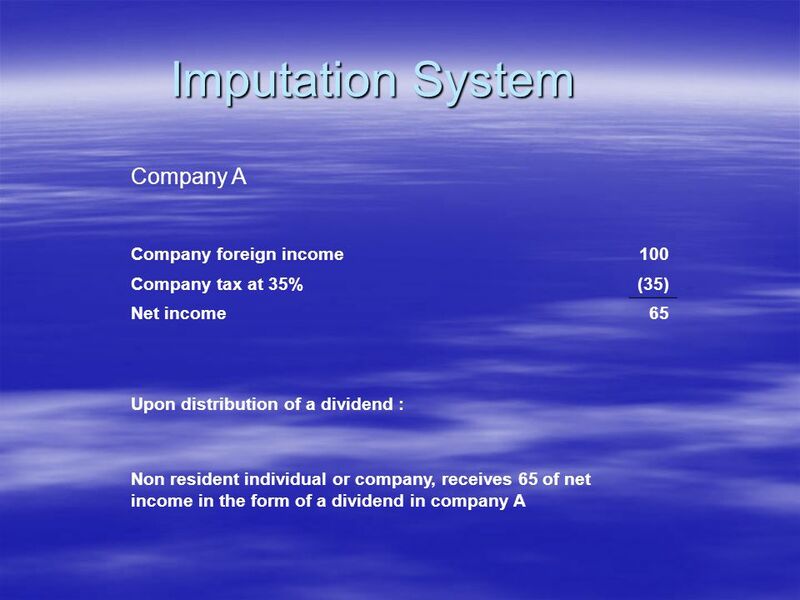 Chapter 11 Corporate Income Tax 2013 Cengage Learning Income Tax Fundamentals 2013 Student Slides Gerald E. Whittenburg Martha Altus-Buller Steven Gill. 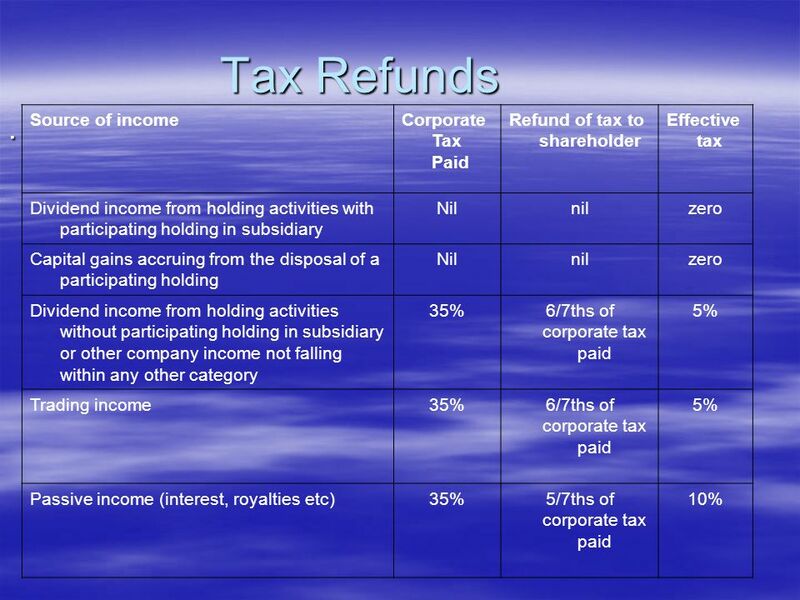 Gold Coast Property Network Tuesday, 23 October 2014 Accounting and Tax Issues for Property Developers. 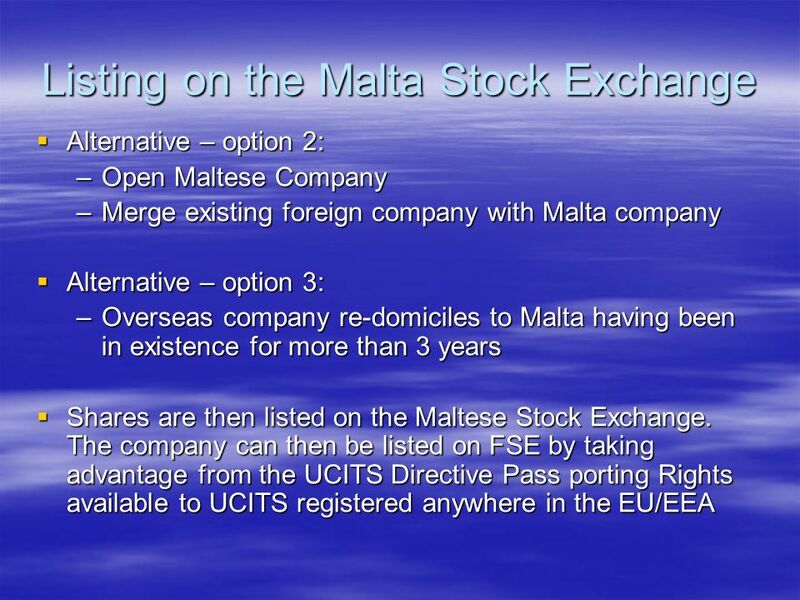 1 SIICs and OPCIs Listed and unlisted real estate investment schemes in France Marc Cretté FIDAL. 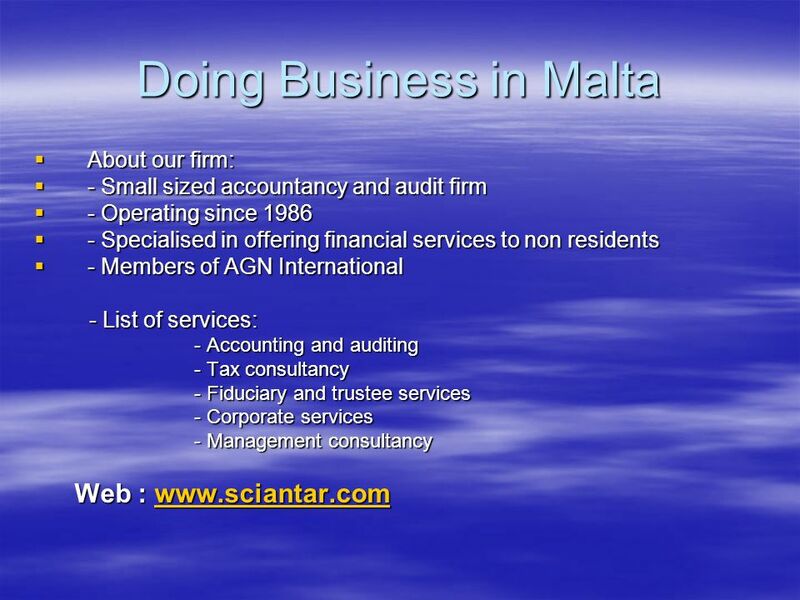 Carrying on business in the UK and related tax, accounting and Company Law matters Tim Stovold.